(Yesterday was just lovely, weather wise. The sun was shining, there was the lightest of a breeze and I managed to get out and potter about in the garden whilst the girls played. 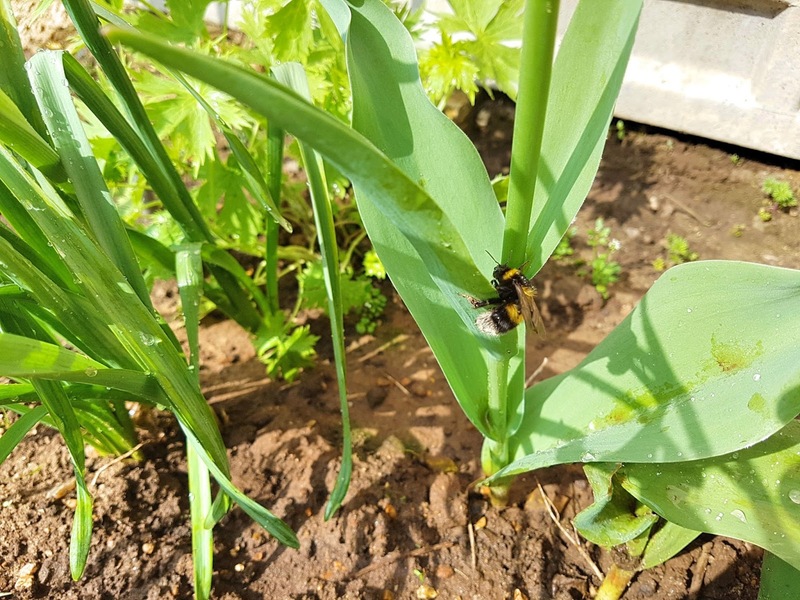 Whilst weeding, I came across a few bees. The girls are pretty anxious about them but I love to see them and keep reminding them of how precious they are and why I try to plant bee friendly flowers to attract them).